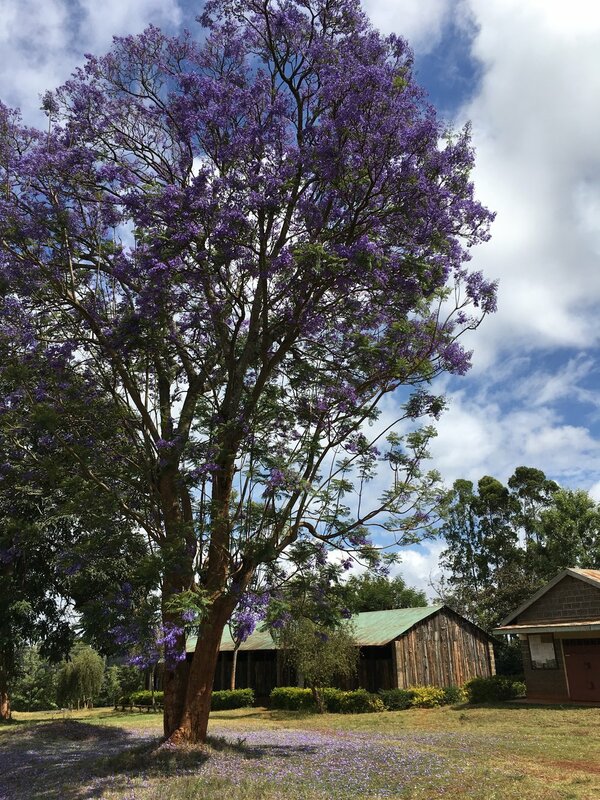 We visited Kenya in February, starting at the KenyaCof lab in Karen, and wrapping up in C. Dormans LTD in Nairobi. For ten exciting days we cupped the best of this year’s Kenya crops, and found the truly unique and delicious gems amongst so much great coffee. We are excited to provide you with nothing but the best of what Kenya has to offer. These stellar coffees should be on the water very shortly. Contact Nico in Europe, or Colleen and Sal in the US to request samples. It was my first trip to this origin, and I could not have imagined the logistics behind buying coffee in an auction system, and what that means for sample storage. 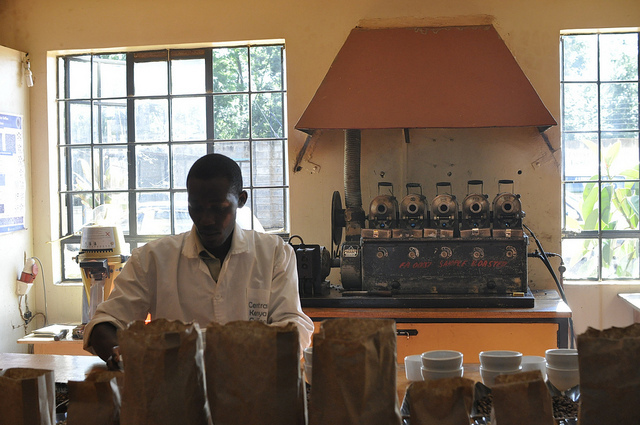 The first day I walked into KenyaCof I was blown away by the thousands of sample bags that filled the office. To me, it looked like compete chaos, but the wizardly staff at KenyaCof could have located a sample in a second, and told us exactly how much was remaining. 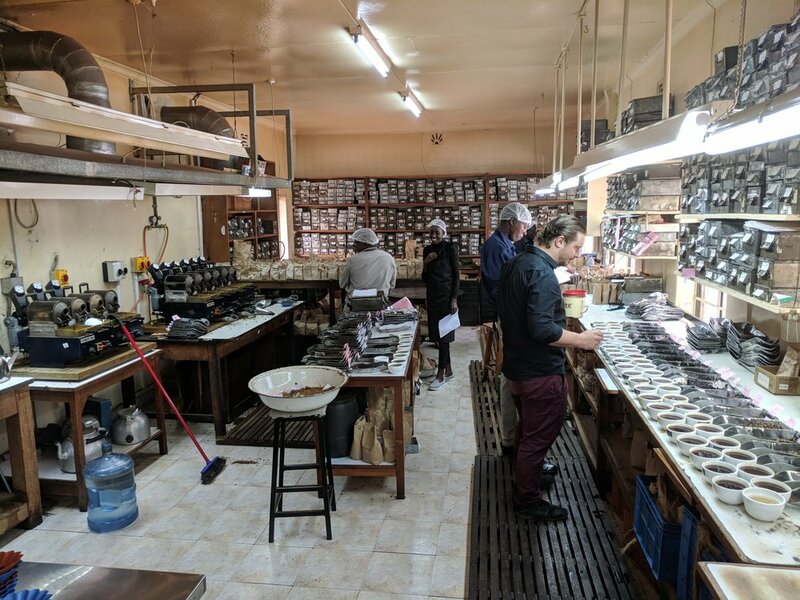 I am truly impressed with the professionalism at KenyaCof, including Managing Director, Mie Hansen, who hosted us in a multitude of ways, even picking us up from the hotel every day, to Sample Roaster extraordinaire James, and everyone in between. Days one and two at KenyaCof were spent screening and pairing down the massive offerings list, setting up the final table for day three. There was an overwhelming number of coffees to choose from and I am thrilled with what we’ve selected. 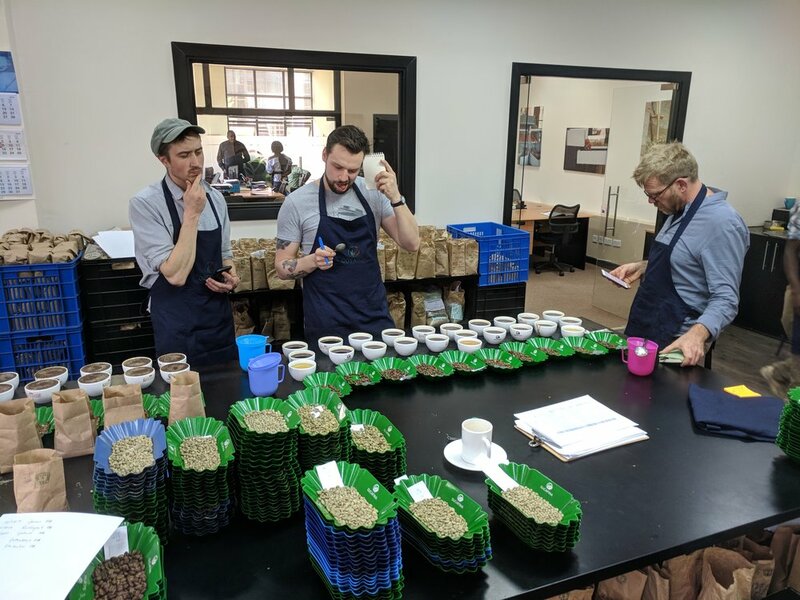 Decisions are hard - Will (left, Tandem Coffee Roasters), Ondrej (middle, Doubleshot) and Robert grapple with the difficult task of selecting the best of the best. The start of the next week brought a short trek over to the historic C. Dormans Ltd lab. Dormans Coffee holds such a dear place in my heart, and it has long been my dream to visit their famous facility. How bittersweet it was to have made it to the lab in its last year before they move to a bigger and better facility. While you can’t take the history of the building with you, you can take the people and know-how that make C. Dormans the coffee powerhouse it is today. I had the fortune of seeing some drawings of the planned facility, and it is going to be spectacular. The lab was buzzing with activity when we arrived. The plan, as before, was two days of pre-screening coffees, followed by a final day of top selections. Again, we were overwhelmed with the quantity of delicious coffee, and the skill of their roaster of 28 years, Samuel, whose consistency is awe-inspiring. Raphael and the rest of the Dormans team were thrilled of the quality of coffee available in the auction this year, and noted the significant improvement over last. While quality is definitely up, yields in Kenya this year are down, and that will affect prices. Bridget Carrington, Managing Director at Dormans, explained that production is down around 20-30% on the main crop. “The New York futures market is much lower, so the coffee that is traded deferentially is more expensive,” she said. However she also agreed that quality is a better this year than last. 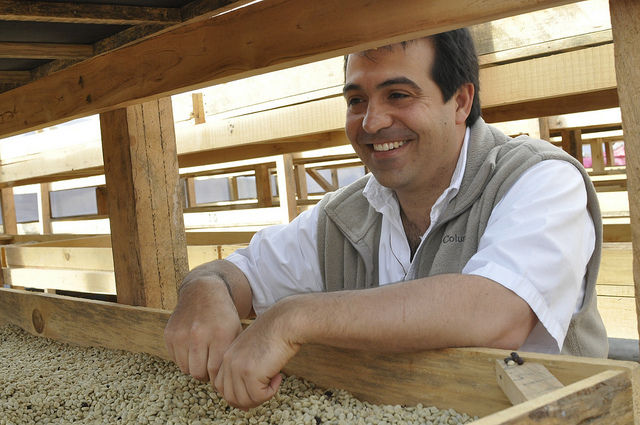 “The best coffees continue to fetch healthy premiums over and above the rest." This trip was strictly about cupping, so we didn’t have time to visit any farms or washing stations. However we did have the chance to see the Ruiri Coffee Fair. Don’t bother Googling it. I tried. The website doesn’t link to booth reservations, hotel offerings or a symposium program. You won’t find much more than a date and time for last year’s event, and a Facebook group that suggests that two people attended. But I can assure you it exists and more than two people were there. 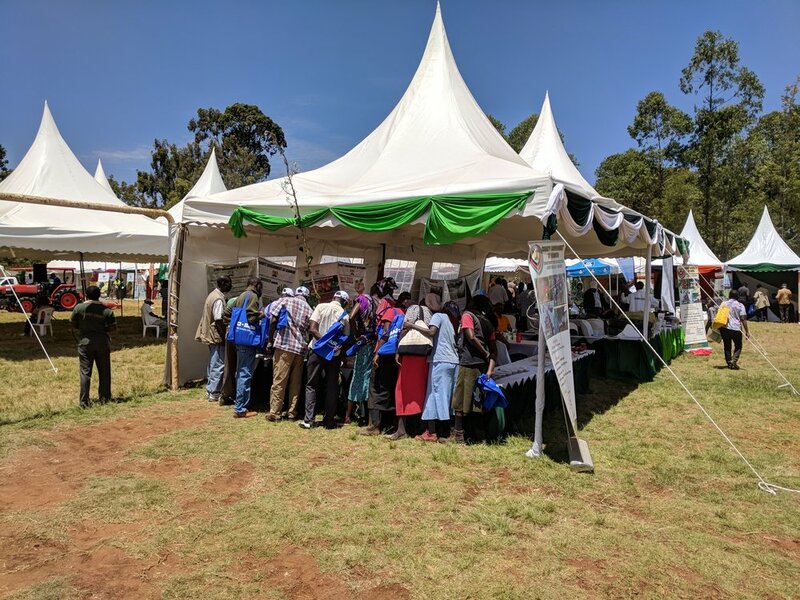 In fact, there were perhaps 300 people from Kiambu County, which may be a small fraction of the attendance of an event like the SCA Specialty Coffee Expo, but for those 300 people it was possibly the most important event on their calendar. As well as discovering the latest technology tractors, depulpers and roasting machines, those 300 people were there to share and receive information. In our hyper-connected countries we sometimes take for granted our access to information, anytime, anywhere. 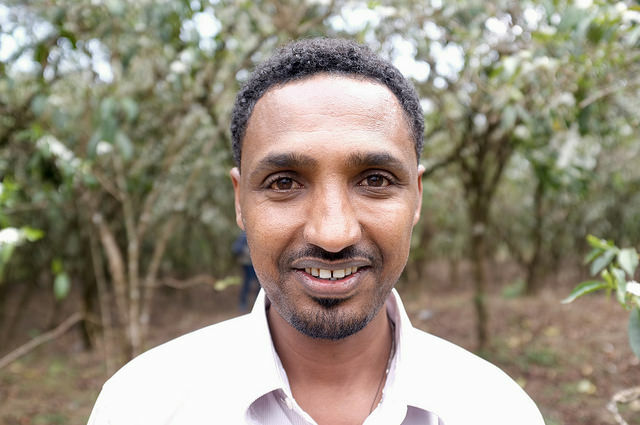 For these farmers, the Ruiri Coffee Fair may be the place to receive some small offering of knowledge that changes their coffee, and thus, their lives. 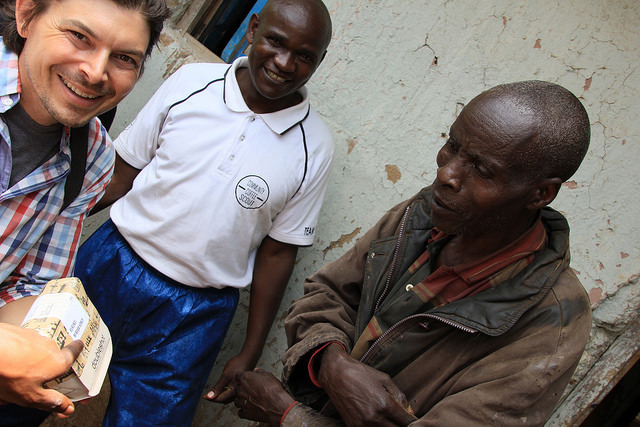 Cupping in Kenya was also a transformative experience for me. On this trip we were joined by a number of colleagues from across the globe; Will of Tandem Coffee Roasters in the United States, Ondrej from Doubleshot in Czech Republic, Stanley of Green Coffee Gallery in Taiwan, and Nicholas of Camera Obscura in Russia. It is always a joy and a revelation to travel with coffee professionals from different parts of the world. 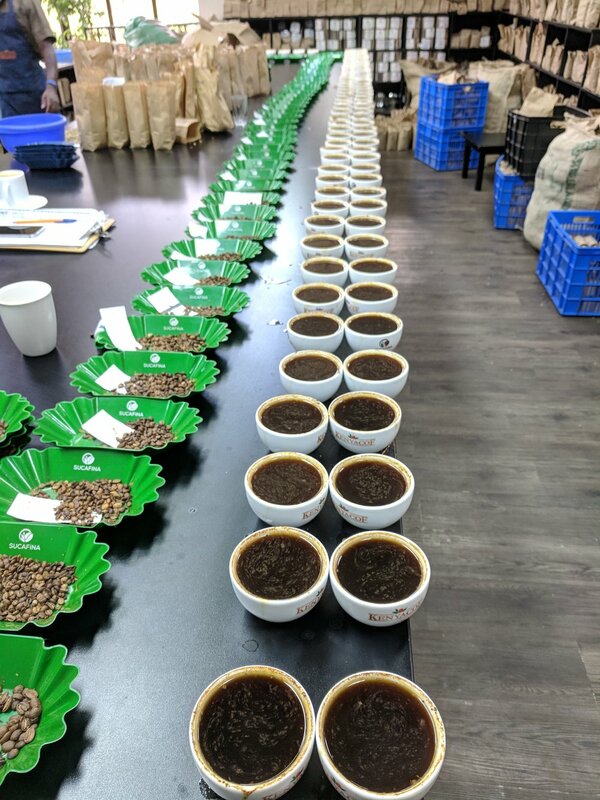 As a coffee buyer, even a single cupping session with someone from another culture can yield information that gives you an invaluable outlook into another market, an experience that you just can’t get secondhand. To spend multiple days with them and see how the process works in their head, session-to-session, can add a layer of understanding that allows you to grow you as a professional. You start to re-evaluate your own understanding of coffee. I’m very grateful for each time I get this opportunity. Thanks, all. 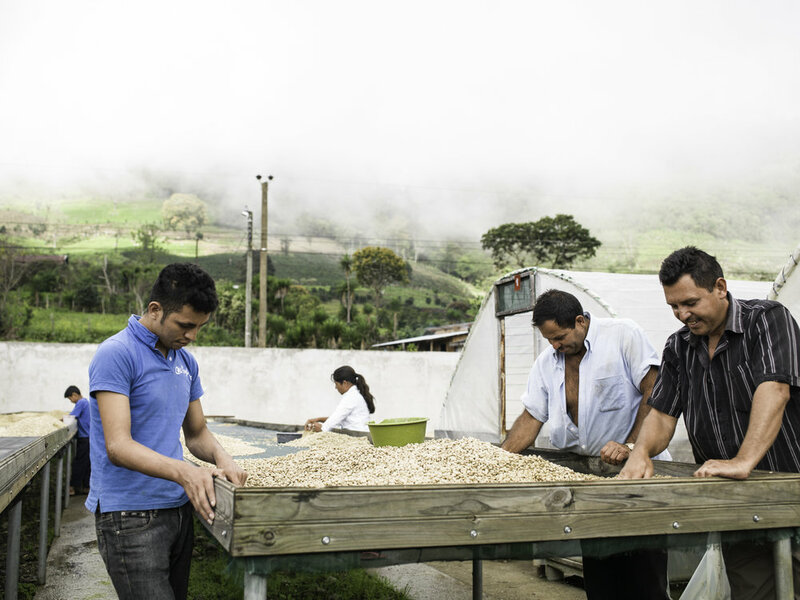 Connecting quality coffee with specific farms and their owners has become the specialty coffee norm, which emphasizes cup score, long-term relationships, and transparency. This bodes well for smallholders and roasters alike, as these expectations point to an evolving market; one that is slowly shifting away from purely speculative pricing and is now favouring connections between specific people selling and buying to/from one another. Kenya, then, has been anomalous from other specialty origins in that much of its best quality lots are sold through a centralized auction and come from cooperatives serving up to 2000 smallholder members each. But contrary to other origins, many of Kenya’s coffee farmers’ cooperatives are impressively run organizations. Many of them actually accomplish what so many cooperatives in other origins fail to do: provide services and disseminate information that help farmers grow great coffee which in turn attracts buyers willing to pay good prices. Kenyan coffee cooperatives are in fact so successful, that some of the highest quality lots in the world come from them: AA and AB lots produced by cooperative factories are consistently the most expensive commercially traded coffees in the world. To understand how and why coops became so strong, let’s go back to the beginnings of how Kenyan coffee was traded. In the beginning (pre-Depression era), coffee was sold by London traders who took up to six months after the coffee was shipped before paying the farmers. Farmers had to rely on banks to finance them during this period, as well as pay for shipment costs. Further depleting their returns was the fact that coffee was initially dry milled in London, rather than in-country. By 1926, the Coffee Planters’ Union was established with the aim of helping producers both make better coffee and more money from it. The 1930s was a time of rapid changes within the Kenyan coffee industry with various groups trying different kinds of cooperative and marketing systems, with the result that the Planters’ Union began splitting into smaller cooperative societies. The Thika Planter’s Cooperative Union became the largest and most dominant of these factions, which eventually was replaced by the Coffee Board of Kenya (KPCU), due to political lobbying from farmers and traders. Until this point, the various planters’ unions and then the Coffee Board of Kenya had focused their efforts on gaining control over processing and curing coffee. So far left out of these movements was the gaining of genuine control over the marketing of Kenyan coffee. The auction was thus borne from the impetus of Kenyan farmers who wanted to gain control over the marketing of their coffee. The first auction was established in 1931 but did not overthrow the prominence of the London traders. Several other auctions followed to varying degrees of success until in 1937, when the Nairobi Coffee Exchange was opened to widespread support. In addition, a nationwide standard in grading was developed in 1938. This became controlled by the KPCU. 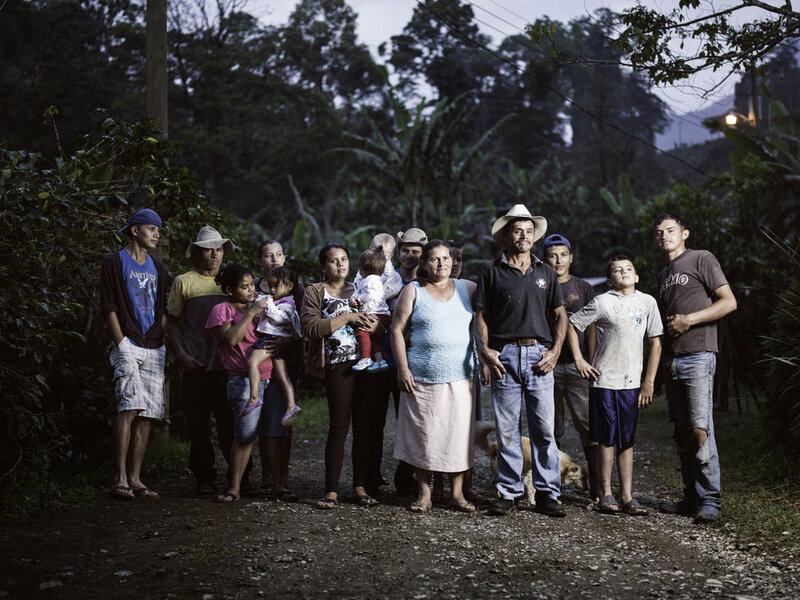 Land ownership rights will always determine how a coffee sector is structured. With Kenya’s colonial history, early coffee production was represented and controlled by colonial land owners. In 1946, the government (still colonial) began to open rules for who could grow crops where and actively began encouraging indigenous Kenyans to grow cash crops, including coffee. Then in 1954, a local chief got coffee seedlings from a European friend and began to plant on his farm. While he was initially subject to criminal proceedings, the growing independence movement (“Mau-Mau rebellion”) aided the chief in having his case successfully dropped. Once the rebellion ended, the Director of Agriculture removed restrictions previously allowing for only large plantations to grow coffee. The smallholder revolution had begun. These days, Kenyan coffee is made up of two main sectors: plantations, made up of ±3,300 farms comprising an area of ±40,000 hectares (ha) of coffee. Within the plantation sector, there are 3000 small estates (<50 ha) and 300 large estates (>50 ha). This accounts for about 25% of Kenya’s coffee planted land. The other 75% is comprised of the coop sector, made up of 270 cooperatives with a membership totalling 700,000 smallholder farmers cultivating 120,000 ha of coffee. Smallholder cooperatives began building factories/washing stations in the 1960s so that they could process their coffees the way large plantations did. Nowadays, these factories serve up to 2,000 members each. Smallholders, overall, control of 58% Kenya’s coffee production. Not only do they contribute the largest proportion of coffee, they are known for producing the highest quality coffee coming out of Kenya. Given Kenya’s coffee history, it is unsurprising that the cooperative has been the dominant seller of Kenyan specialty coffee. 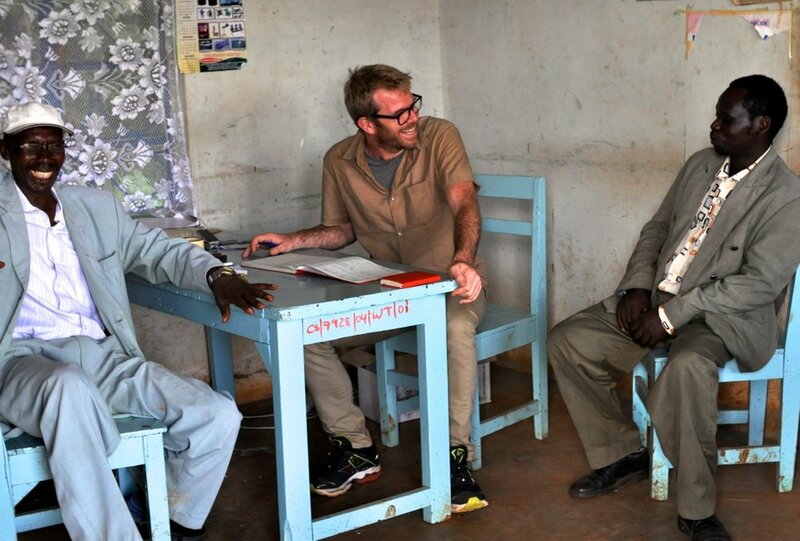 Specialty coffee buyers are very used to working with cooperatives and marketing Kenyan coffees in this way. But not all cooperatives are working equally well and it has often proved frustrating for a buyer to align themselves with specific coops and/or factories because of things like corruption, mismanagement issues, and fluctuating quality. It is for these reasons, traceability concerns, etc., that we have started exploring relationships with both single estates as well as small farmer groups beginning to form micro-coops. As is true at origins with well-developed farm-level marketing, these kinds of partnerships are enticing for even greater quality and relational potential than is possible with big group organizations. While touring Kirinyaga during early-November this year, we met with the newly established “Slopes of 8” micro-cooperative. 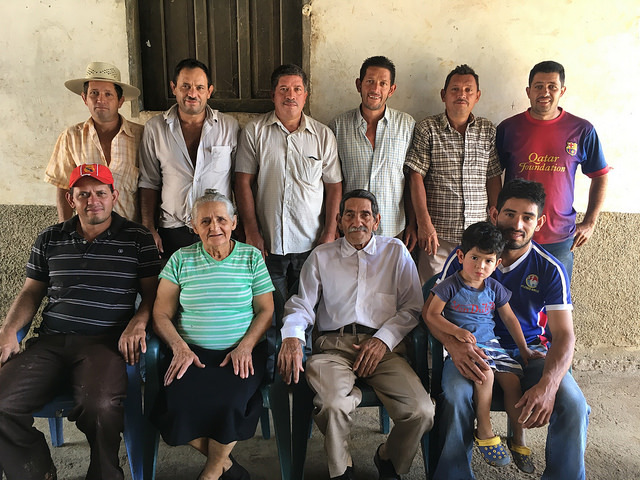 As its name implies, this cooperative is made up of eight estates that have banded together to market their coffees together with the aim of establishing long-term relationships with buyers. The project has garnered so much interest from neigbouring farms that the leader of Slopes of 8, Joseph Karaba, is consulting others on how to begin their own micro-cooperatives. In February, we will hopefully cup lots from a couple of these newly established coops and start some new partnerships. 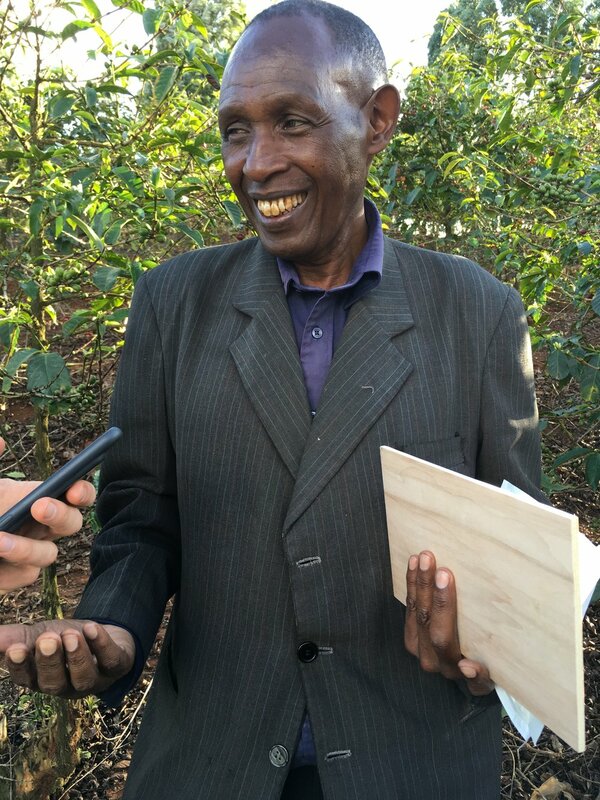 We have already had a lot of success with one small estate farmer relationship that was established two seasons ago: John Njoroge owner of Kiambu and Kiriani estates, who has produced great coffees for us two seasons in a row. The current harvest will represent our third season working with him and we were thrilled to see that he had invested in and constructed beautiful, sturdy, shaded drying beds, even though the drought brought on by El Niño/La Niña earlier this year has left him with a disappointing volume of coffee this season. 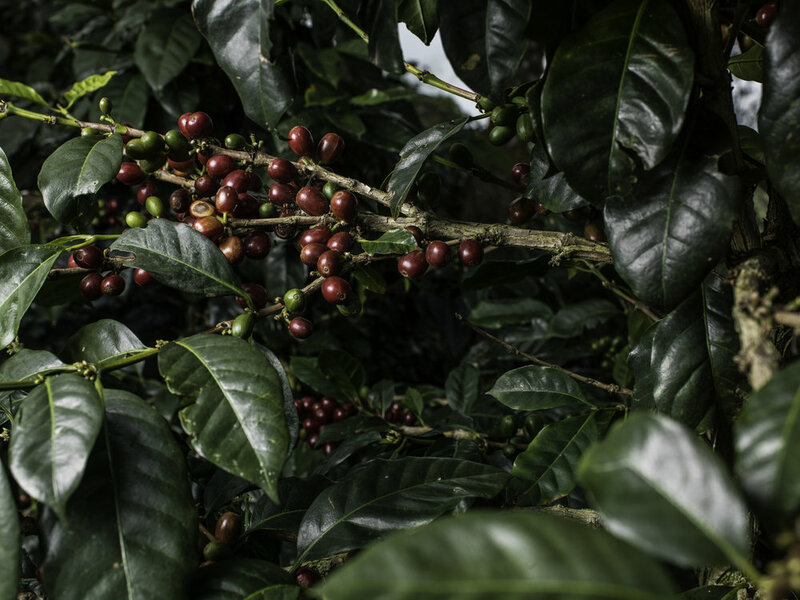 Unfortunately for farmers all over Kenya, the current harvest will lead to lower than average volumes this year, which often leads to higher overall cup quality. Look forward to sharing our selections with you in a few months. Block, R. Pearson & C. Tomlinson. Kahawa: Kenya’s Black Gold. C. Dorman LTD. Nairobi, 2005. Muthwewathi is located in Nyeri County. The factory is in New Gikura in southern Nyeri close to Mukurweini. They have 3800 members in total. Altitudes range from around 1500 to just above 2000masl. 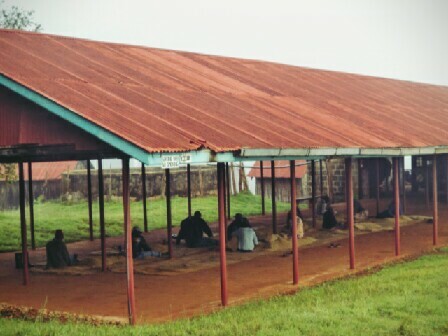 Kiamabara Coffee Factory is located in Nyeri County near Karatina Town, and together with Gatina it comprises the Mugaga Farmer Cooperative Society (FCS). The factory was built was in the early 1980's to process cherry from the neighboring farms. The factory is run by a factory manager who reports to the society's secretary manager. The factory has 3 representatives in the Society management committee. Kiamabara uses the Kingu river as its local water source. The factory is receiving assistance from our partner Coffee Management Services (CMS). The long term goal is to increase coffee production through farmer training, input access, Good Agricultural Practice seminars, and a sustainable farming handbook updated and distributed annually. Our wish is to establish a transparent, trust based relationship with the farmer, helping to support a sustained industry growth in Kenya, whilst bringing premium quality to our customers, and premium prices to the farmers. Through the pre-financing they receive, farmers are given advances for school fees and farm inputs. The factory manager is re-trained every year by CMS, in addition to field days being held by the minister of agriculture and agrochemical companies that deliver inputs to the farmers. Demonstration plots are planted at the factory to reinforce the best practices taught throughout the year. After picking, ripe cherry is brought to the factory before it undergoes processing to remove the skin and pulp – known as the wet processing method. Wastewater is discarded in soaking pits, and is also recirculated for conservation. The factory is using a disc pulper with three sets of discs to remove the skin and fruit from the inner parchment layer that is protecting the green coffee bean. After pulping, the coffee is fermented overnight to break down the sugars, before it is cleaned, soaked and spread out on the raised drying tables. Time on the drying tables depends on climate, ambient temperature and volumes under processing, and can take from 7 to 15 days in total. Situated in the Central Province of Kenya, Gachatha is located in the slopes of the Aberdare mountain range, about 150km north of Kenya’s capital Nairobi. After picking, ripe cherry is brought to the factory by smallholder farmers, before it undergoes processing to remove the skin and pulp – known as the wet processing method. The nearest water source is the Kangunu stream, and the factory is dependent on electrical pumps to move water to reservoir tanks before using it for processing. Water is also recirculated for conservation. The factory is using a disc pulper with three sets of discs to remove the skin and fruit from the inner parchment layer that is protecting the green coffee bean. After pulping, the coffee is fermented overnight to break down the sugars, before it is cleaned, soaked and spread out on raised drying tables. Time on the drying tables depends on climate, ambient temperature and total production volumes currently undergoing processing. Drying may take from 7 to 15 days in total. The factory is receiving assistance from our partner Coffee Management Services (CMS). The long term goal is to increase coffee production through farmer training, ready access to inputs, Good Agricultural Practice seminars, and providing the most current printed materials on sustainable farming. 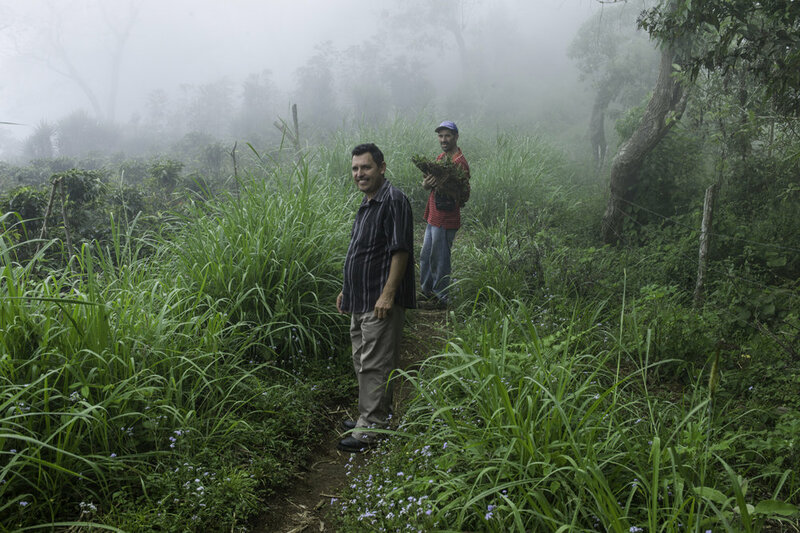 By paying the producers some of the highest returns for their coffee our objective can be achieved. We strongly believe in establishing a transparent, trust based relationship with smallholder farmers, helping to support sustained industry growth throughout the country, and continuing to elevate the standards of quality coffee produced in Kenya. Screen size does not necessarily correlate with quality in terms of flavor attributes. For example, sometimes we find many of the AB-selections to be superior to the AAs from the same lot. In addition, it is not true that PBs are necessarily more intense in flavor or better in quality than flat beans. 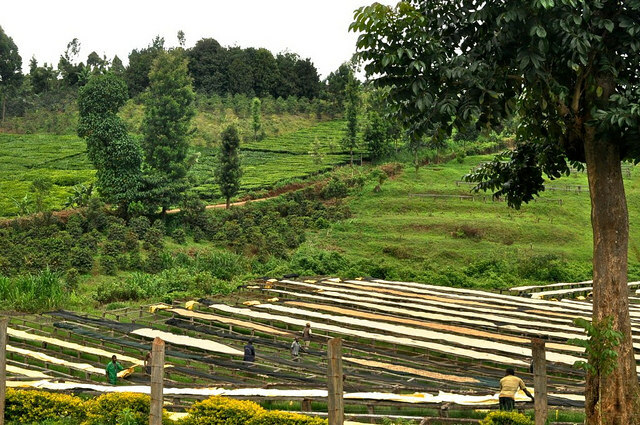 Established in 1975 is Mugaya Coffee Factory and is a member of the Mutira Farmers Cooperative Society. Located in the Central province within the Kirinyaga district, it serves more than 1600 farmer members, owning an average of 180 trees each. The main varieties of coffee grown here is SL28, SL34 and Ruiru 11. After picking, ripe cherry is brought to the factory by smallholder farmers, before it undergoes processing to remove the skin and pulp – known as the wet processing method. The factory is using a disc pulper to remove the skin and fruit from the inner parchment layer that is protecting the green coffee bean. After pulping, the coffee is fermented overnight to break down the sugars, traveling through channels to the soaking tank the coffee is carefully cleaned, soaked and spread out on the raised drying tables. Time on the drying tables depends on climate, ambient temperature and total production volume undergoing processing. Drying can take from 7 to 15 days in total. 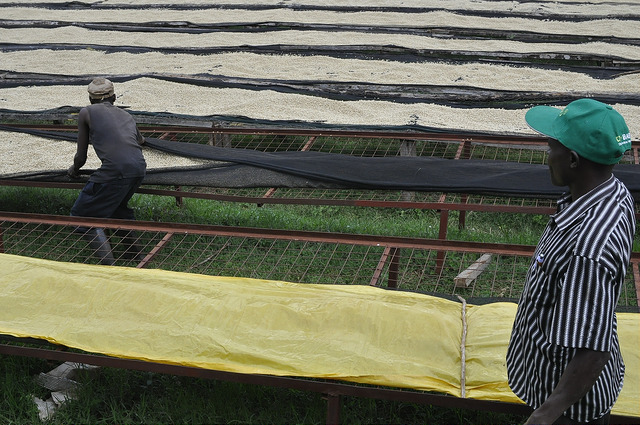 Frequent turning and sorting will happen during the drying stage. The factory is receiving assistance from our field partner Coffee Management Services (CMS). The long term goal is to increase coffee production through farmer training, ready access to inputs, Good Agricultural Practice seminars, and providing the most current printed materials on sustainable farming. 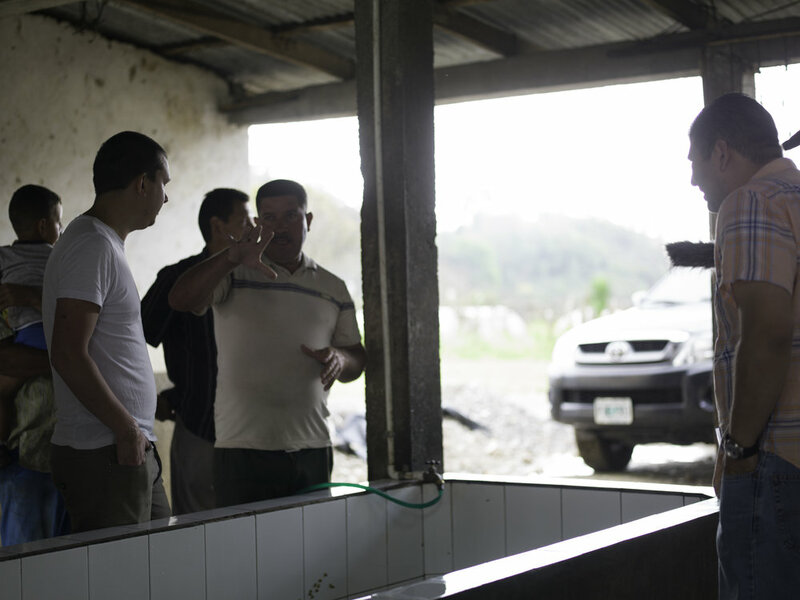 By paying the producers some of the highest returns for their coffee our objective can be achieved. We strongly believe in establishing a transparent, trust based relationship with smallholder farmers, helping to support sustained industry growth throughout the country, and continuing to elevate the standards of quality coffee produced in Kenya. Thunguri Coffee Factory is located in Kirinyaga County just at the border with Nyeri County, close to Karatina town. It was established in 1962 and rests on an 8 acres piece of land serving Kiamwe, Nguguini and Kiahiti Villages. Currently it is affiliated to Kibirigwi Farmers Co-operative Society Ltd. Its membership currently stands at 1115 which 1095 are active farmers while 20 are inactive farmers. The area experiences a biannual production cycle with the early harvest being from April-June and the late second season being from October-December. The main varieties of coffee grown are SL28, 34, K7 and Ruiru 11, with SL28, 34, K7 accounting to 99% of all coffee produced while Ruiru 11 accounts to 1 % of all production. The factory is receiving assistance from our partner Coffee Management Services (CMS). The long term goal is to increase coffee production through farmer training, input access, Good Agricultural Practice seminars, and a sustainable farming handbook updated and distributed annually. Our wish is to establish a transparent, trust based relationship with the smallholder farmer, helping to support a sustained industry growth in Kenya, whilst bringing premium quality to our customers, and premium prices to the farmers. Through the pre-financing they receive, farmers are given advances for school fees and farm inputs. The factory manager is re-trained every year by CMS, in addition to field days being held by the minister of agriculture and agrochemical companies that deliver inputs to the farmers. Demonstration plots are planted at the factory to reinforce the best practices taught throughout the year. Founded in 1983, Karinga factory lies on five acres of land serving Kimaruri, Kariungu, Gachuha and Mugalwa villages. Karinga Coffee factory is run by Samwel Muteti, who works with six permanent staff along with a changing number of casual staff. Number of casual staff varies from year-to-year depending on harvest yields. During peak season the factory employs about six casuals, while during the off-peak, at most one is retained. 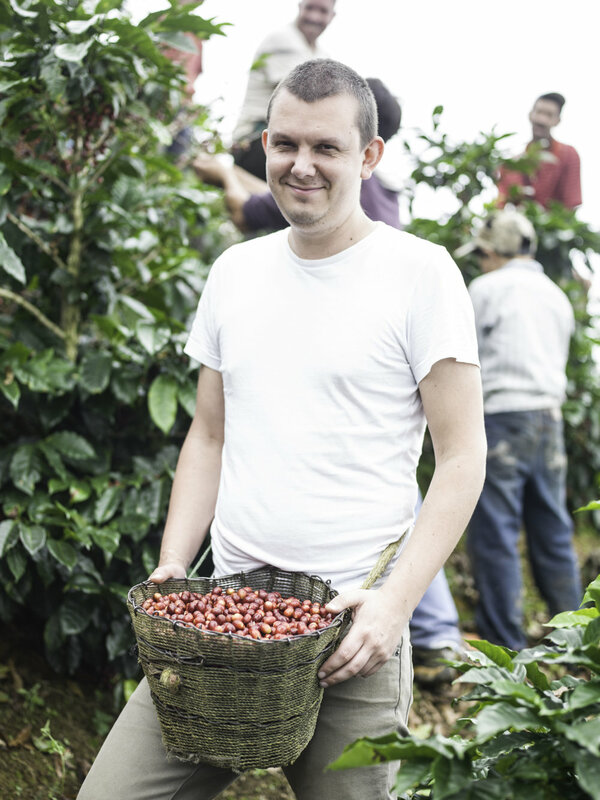 Permanent staff duties include weighing coffee, selection and grading of coffee, paying farmers and addressing farmers’ concerns. Crop production has not been stable at this factory due to poor payment, internal political wrangles and other factors. Most of farmers are tea growers, but management is now encouraging farmers to go back to coffee production because the cherry prices are stabilizing and have been quite high since 2010.
fieldwork also involves weeding, pruning, spraying, and application of fertilizer, mulching and technical advice. Technical advice is offered through farmer training programs and field visits offered by Ministry of Agriculture. Compliance to the agreed guidelines is checked and supervised by the field committee. Amongst other things, this committee checks that coffee is not inter-cropped with maize and beans, though they do allow intercropping with macadamia nuts. 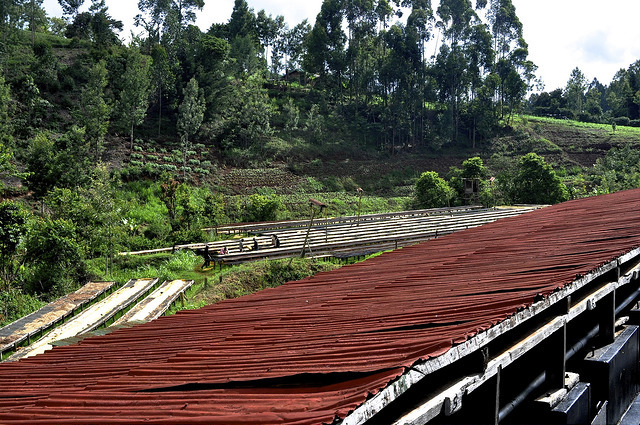 After harvest, coffee cherries are delivered to the factory and undergo wet processing. Water is pumped from the River Rwabura to the reservoir tanks for pulping and recirculation. 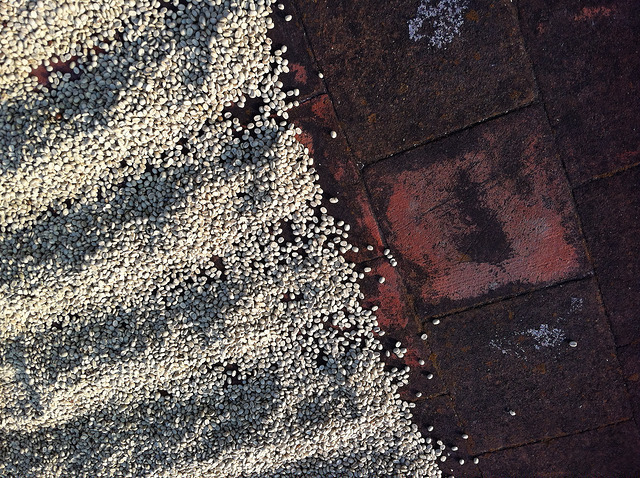 After pulping, the coffee is stored overnight, is then washed, soaked and finally spread on drying tables. The parchment is frequently turned, and then sorted and stored, awaiting delivery to millers. To ensure that the processing is carried out efficiently the factory has invested in a pulper, a recirculation system and about 12 conditioning bins. Founded in 1966, Kangunu factory has an active field management and is located in the main coffee growing zone, near the slopes of Mt. Kenya. Villages that deliver cherries to Kangunu include: Gicera, Gichiche, Gaciari, Kamica, and Kathera. The factory includes three big soak pits, which are large enough for proper drainage of waste water; there is no river nearby that can be potentially polluted. Nappier grass is planted nearby and trees to help in the purification of waste water. Cherries are selectively handpicked and delivered to the wetmill on the same day. These cherries are sorted at the wetmill prior to pulping, where ripes are separated from under- and overripes. All processing uses clean river water from the Rundu River that is recirculated prior to being disposed of in seepage pits (to prevent contamination). Once parchment is fermented, it is washed and then sundried. Kaiguri factory is situated near the town of Kaiguri, in the Nyeri district east of the Aberdare Mountain range. 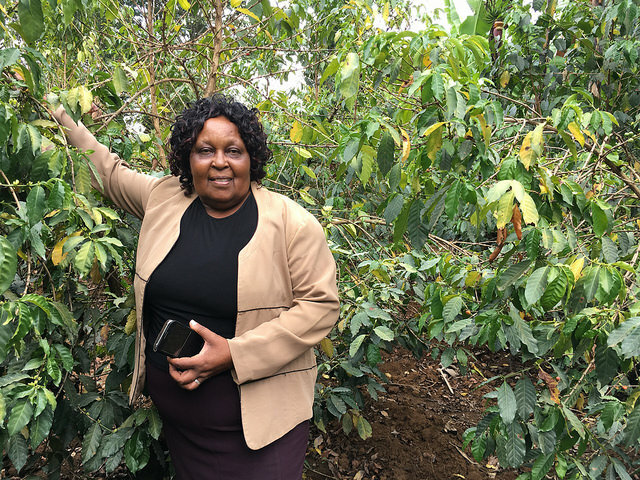 It started its operations in the year 1969 as one of 18 factories in the former Tetu Coffee Growers’ Co-operative Society, which held all 18 factories. In 1999, the society split into 18 single factory societies. In 2004, the government encouraged the single societies to merge and form a large and economically viable society, resulting in the formation of two societies: Aguthi and Mutheka FCSes. Kaiguri factory services four different zones: Chukuruini, Mutoigu, Karurumo and Karaini. 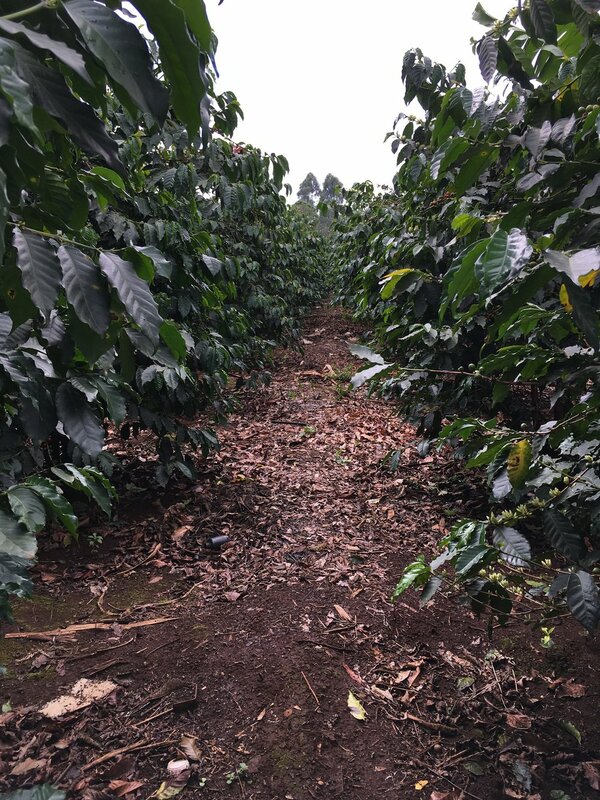 This post provides the backdrop for the previous post and my recent visit to Kenya where I was cupping and choosing the Collaborative Coffee Source’s lots from the recent harvest. My visit was affected by the current situation in the County of Nyeri, a district that is known for producing the best coffee in Kenya. This is where CCS always has bought stellar coffees from and for that reason happily paid the highest prices every season. By this we have been rewarding good quality with the obvious means: good money. Coffee is an important product in many producing countries’ economy. It represents a source for revenue in foreign currencies and local taxes, thus its production is often heavily regulated and so is the trade of it. Ultimately, it employs many people: farmers and workers, all potential voters. Coffee is Political! In recent years each County (also called ‘District’) in Kenya has received more explicit governing power, which is probably good for many things, but as we know, politicians can be unwise and plainly populist in their policy-making. The newly elected Government of Nyeri have made a claim that farmers are not being paid well enough for their product compared to what exporters are making from selling it, thus new and radical policies are seeking to mend that situation namely, the local government in the county of Nyeri is taking full control of the milling and trade of all cooperative coffees* in Nyeri as of this season. In practical terms this means that the farmers’ cooperatives, which own the washing stations, are obliged to dry mill, screen and pack their coffee at the state run Sagana KPCU Mill. Ultimately the Nyeri coffee will be marketed and sold through the same Sagana company. Is this being done in the name of what is best for the farmers? From history, from experience, from gut-feel: there is little reason to believe that the money will pile up at the farmer’s doorstep after this move. Regrettably there is no doubt that coffee is generally not well paid for, which has been a sad truth not only in recent months but for decades. Unfortunately, exploitation and corruption in all sectors of the trade can and sometimes does happen. Even in the Specialty Coffee sector when prices are sometimes high, one can argue that not enough of the money paid for the end product is trickling all the way to where it belongs: to the farmer. To an untrained eye, it may all look the same: coffee is coffee and trade is trade. 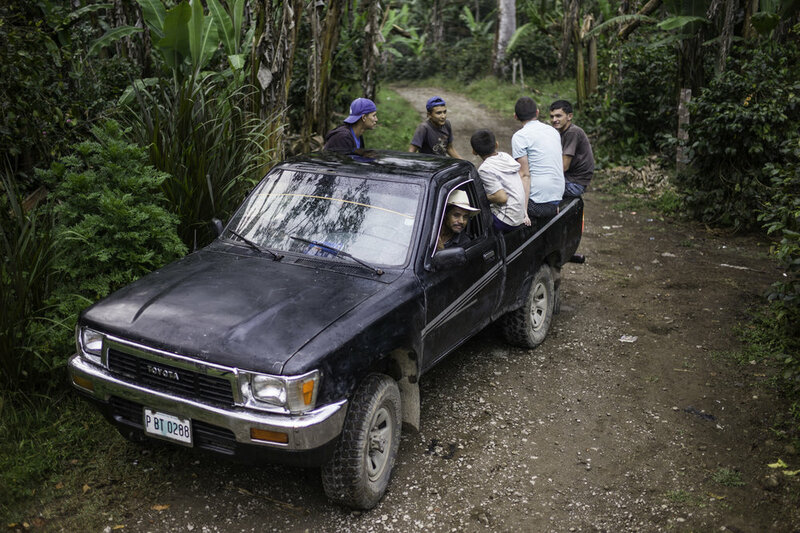 Yet it should be acknowledged that many people are involved in the making of coffee and making sure coffee moves from the farm gate and beyond. Finding the best qualities requires a system and a lot of additional work (unlike in the commodity world). 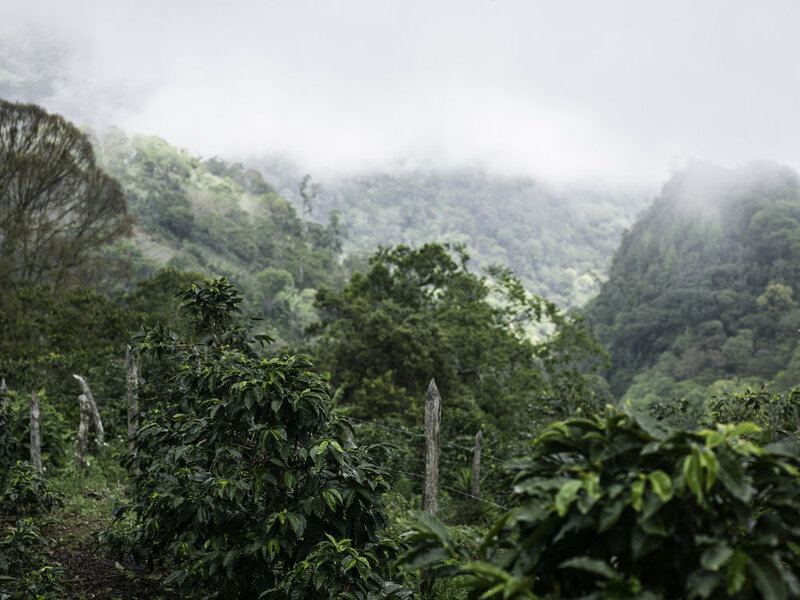 Developing a market where roasters willing to pay for quality actually have access to quality coffee is part of a system and hard work that ultimately benefits farmers via higher prices, recognition and repeated sales. Within the Specialty Coffee Paradigm, the product is totally traceable when it’s working at its best and the flow of the money is fully transparent. The newly implemented regulations for trading coffee in Nyeri is now making the trade less transparent when looking for specialty lots from the cooperatives. 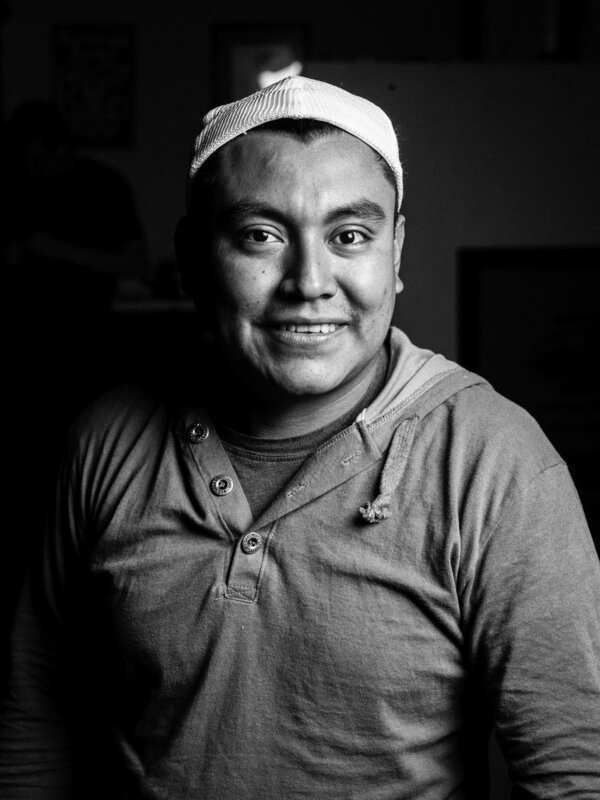 The coffee business is not always just a commodity business: it is a people business, and within the Specialty Coffee trade, this is even more evident. CCS only buys coffee from trusted sources and from people we know. The Collaborative’s approach in Kenya is to add value to the chain by selecting the best lots we can find for our roaster customers. This means frequent visits, continuous searches in known and unknown areas, and extensive cupping and screening. For many years we have chosen to work with Dormans as our partner in Kenya. Dormans have set themselves up for accessing the best cooperatives by: defining the best regions and appellations, screening the best qualities from each place, and by even involving themselves in developing quality at the farm and washing station level (through a sister company). 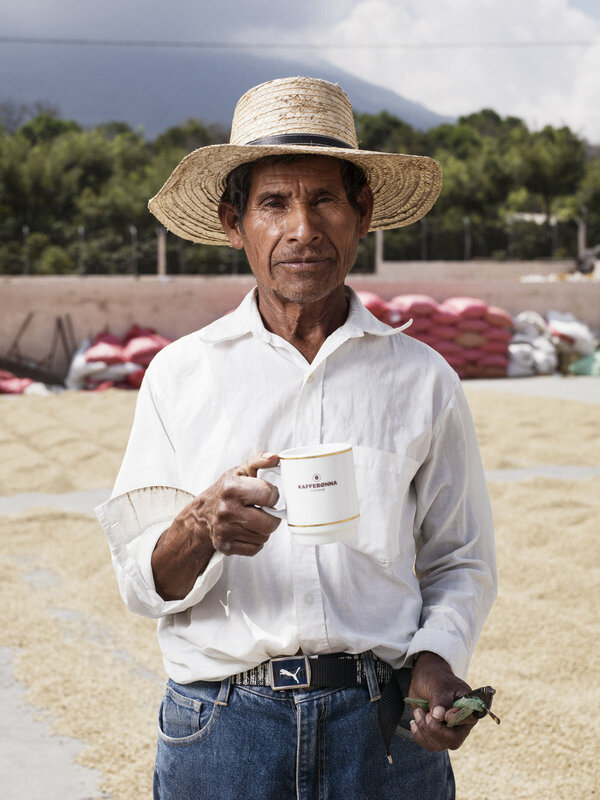 Another key factor in our working relationship with Dormans is their recognizable ability to further process the coffee, which makes for the quality we have now come to expect. This includes dry milling (hulling), screening, cleaning and vacuum packaging. We have always been offered close follow-ups with the processing and movement of our chosen lots, as well as insight into the distribution of costs throughout. This has enabled us to offer Kenyan coffee with full transparency, from the negotiated “farm gate” pricing to all the costs that add up to the final price. Under the current circumstances CCS is choosing not to buy Nyeri Cooperative coffees from Sagana. To do so would not be in tune with our principles for transparent coffee trading and it would also be untactful to our longstanding relationships. As explained, in the previous post, this means we’ve had to look elsewhere for our selection of stellar Kenyan coffee this year, more specifically in the neighboring counties of Nyeri, but again with great assistance from Dormans—our partner at source—we believe we have found some great coffees. * Estate coffee, as opposed to cooperative made coffee, is made at privately owned coffee estates and can still be sold through regular channels. But estate coffees have, for various reasons, always been of lower quality compared to the ones made by the best-managed cooperatives. If Ethiopia is the Queen of Coffee, then Kenya is the King. What a couple! While she is slender and graceful, with floral elegance and contoured acidity, he is more heavy bodied yet dandy: intensely aromatic, with rich attributes, colorful juiciness and flair. Both have standout personalities that make them unique and irreplaceable in the Word of Coffee. The Collaborative has been back in Kenya this week, cupping hundreds of samples from the New Harvest from the well-known coffee regions at the foot Mt.Kenya, Embu in the East, and the central counties of Muranga, Kiambu and Kirinyaga. Yes, the coffee from Nyeri County is clearly missing on this list. The ‘market’ is up and prices at the Kenyan Auction are going high. The Collaborative Coffee Source is discouraged from taking samples from cooperatives producing coffees we have loved and consistently purchased from simply because we do not know and trust the people that are currently handling the coffee on behalf of the farmers. It seems the King of Coffee has lost control of its precious yet rebellious county… For Specialty Coffee lovers Nyeri Coffee is the quintessential representative of Kenyan Coffee, but this year we’ve been forced to look elsewhere. Background on this situation will come in the next post. For the time being we are steering away from Cooperative coffees from Nyeri until the situation is cleared and normal trading principles are put back into practice. Currently the trading of Nyeri coffee is at a standstill, which is a pity, as so far the strategy of “helping the farmers” has been counterproductive. 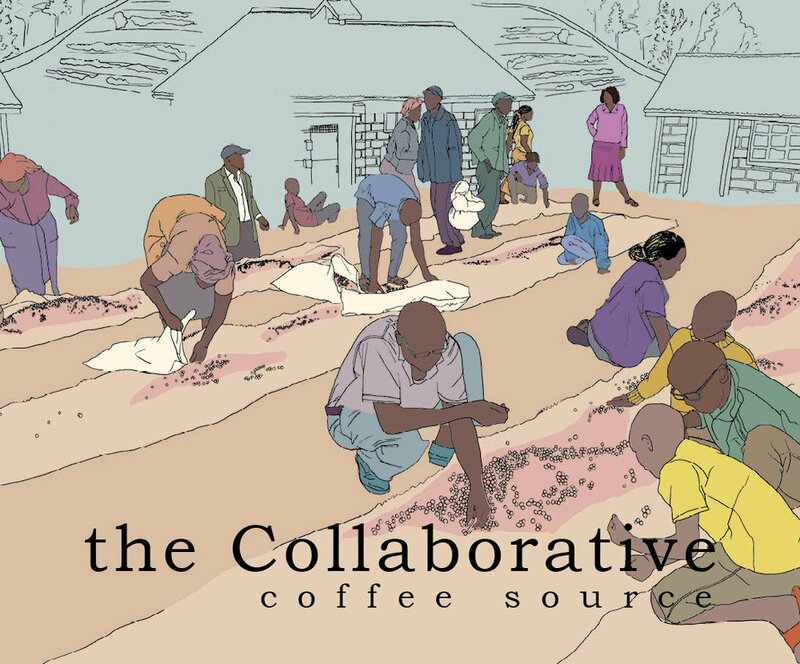 We at the Collaborative Coffee Source are sorry for this situation and hope to be able to present Nyeri Coffee from our long-standing relationships with Relationship Cooperatives to our discerning customers in the future. The nature of searching for the greatest coffees in each origin is basically like looking for the infamous “needle-in-the-hay-stack”. When Nyeri coffee is on the table, there are likely to be more needles in that stack. The good thing about this situation is that we are encouraged to look elsewhere on the map for the greatest coffees from Kenya this year, which has been a good learning experience and with some very interesting discoveries. I am pleased to say that we’ve been able to identify great coffees from Embu, Muranga, Kiambu and Kirinyaga. We look forward to presenting these lots to you shortly. After screening plenty of contenders we’ve come down to a dozen samples – representing lots from 5 to 40 bags – that each have individual personalities, at the same time as exhibiting the finest features we know from Kenyan coffee: Intense aromas, well-pronounced acidity and juicy sweetness from tropical fruits and dark berries, sometimes with a delicate mouth feel, sometimes with a richer body. Contact us now for cupping event schedule or sample request. Looking for March shipment, coffee arriving at our Antwerp warehouse around Easter. Dear CCSers, You may have already been apprised of the news coming out of Nyeri regarding the county’s recent move toward centralization of coffee production. This newsletter is simply a summary/informative piece meant to update those of you buying and/or have interest in Nyeri coffee. As the situation is still evolving, this is not meant to provide any sort of analysis or predictions about what will happen. In short, the introduction of the new Constitution in Kenya is resulting in a substantial decentralization in power. Subsequently, county governments have quickly taken steps toward becoming more deeply involved within various areas of economic and social society. 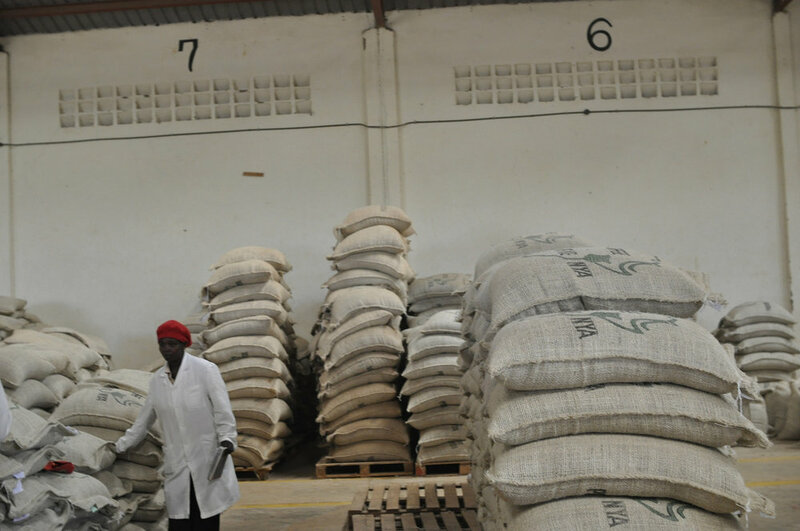 The Agricultural sector encompasses a large voter base within Kenya and in Nyeri, the recent decentralization of power has allowed the Governor to create a central mill for all Nyeri coffee in order to market it under the company’s name: Sagana. According to the Nderitu Gachagua (Governor), this move is meant to increase the price of Nyeri coffee to its “correct” value; he has expressed hopes that prices will at least double last season’s prices. The county’s move toward centralization has been swift: an order was issued, within the last weeks that all coffee must be delivered to the Sagana mill. 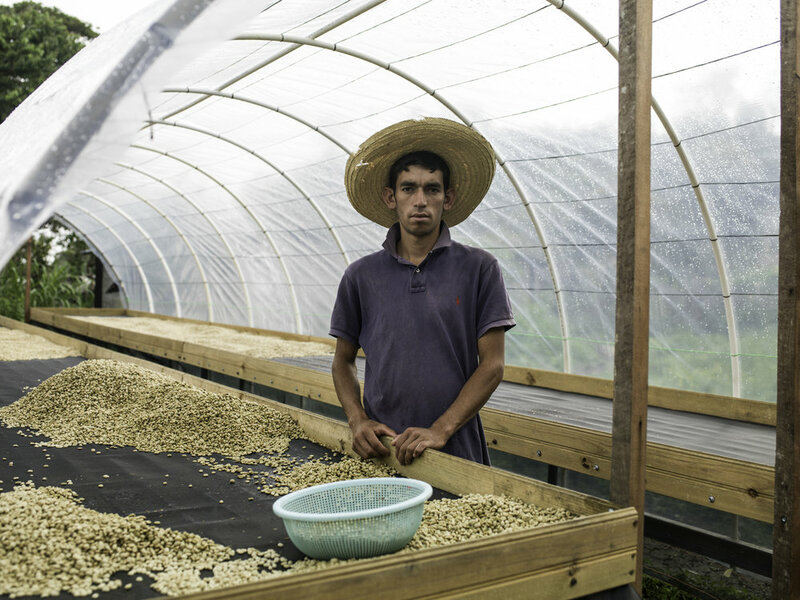 It is now illegal for farmers to deliver coffee to any other mill, even licensed ones. 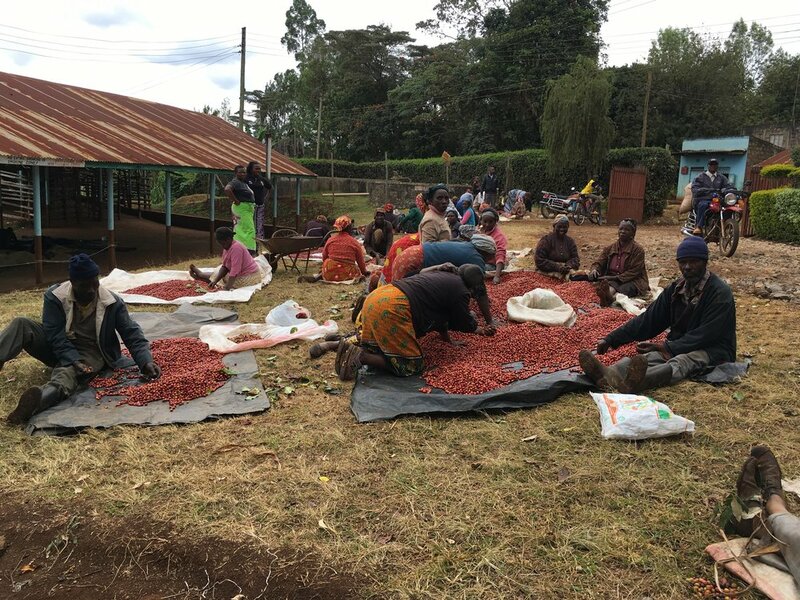 There is some powerful resistance to these changes and 13 of Nyeri’s Cooperative Societies have taken the local government to court the High Court, claiming that they have a constitutional right to choose where their coffee is milled and marketed. This case is not scheduled to be heard until mid-February, however. Many of you know Nyeri as being a key area from where high quality coffee is sourced; it is where our partners at Central Kenya Coffee Mill (CKCM) are located. We have received news from CKCM that it has been the main target of local government authorities, one of the major consequences of this was that last Thursday, CKCM was ordered to halt its operations. What this news means for this year’s production and purchasing is yet to be determined. Dormans and CKCM are obviously concerned about the loss of supply of Nyeri coffee, but are currently forced to allow the situation to develop as it does.